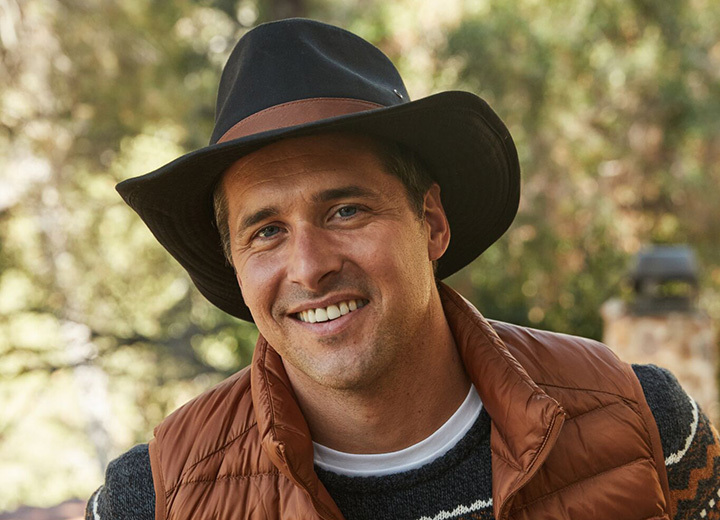 Whether it's your favorite wool felt fedora, cowboy hat, or that vintage stetson you only wear on special occasions, the truth is that hats will get dirty. Dust, debris, sweat stains, body oils, grease stains, and watermarks can wreak havoc on a hat, but cleaning your headgear doesn't have to be a headache. It just takes three C's: common sense, consistency, and care. So how do you clean a felt hat? First of all, let's explain what felt actually is. It starts with wool, a natural fiber derived from sheep. The wool is then treated using heat, moisture, and pressure that melds the fibers together to create wool felt. While felt can also be made using animal fur from rabbits, beavers, chinchillas, or other furry creatures, the cleaning instructions we've outlined here are for wool felt hats, not fur felt hats. If you have a fur felt hat, chances are you know that these are considerably more expensive hats, so don't cheap out now. Get them professionally cleaned when the time comes. Just as you need to be careful when cleaning suede hats, leather hats, or straw hats, it's important to take a gentle approach when cleaning felt hats to avoid damaging them. Let the good times roll with regular lint rolling and brushing. The best way to ensure your felt hat stays as spotless as possible is to clean it after each time you wear it. That might sound extreme, but it really doesn't take much time or effort. All you need is a soft-bristled brush such as a toothbrush or a hat brush specifically designed for this purpose. Gently sweep away any dust or dirt in a counterclockwise direction so that the fabric stays smooth. 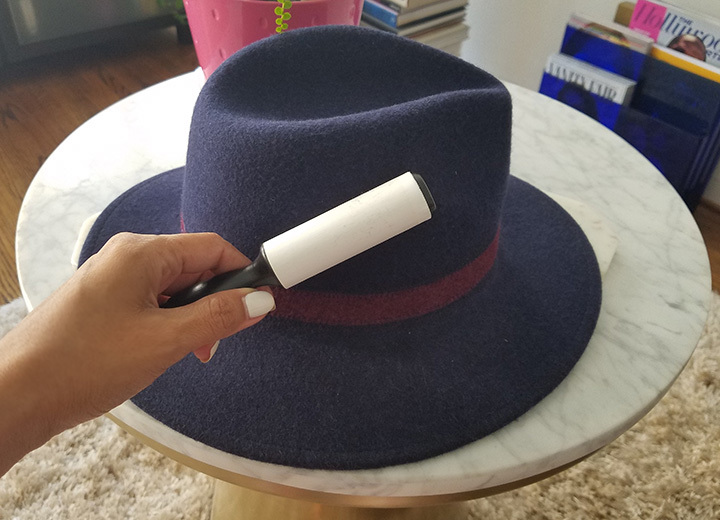 Another great tool for keeping a felt hat clean is a lint roller — simply roll it across the hat's fabric to remove dust and debris. You could also just use a piece of tape and dab it across the hat. How easy is that? 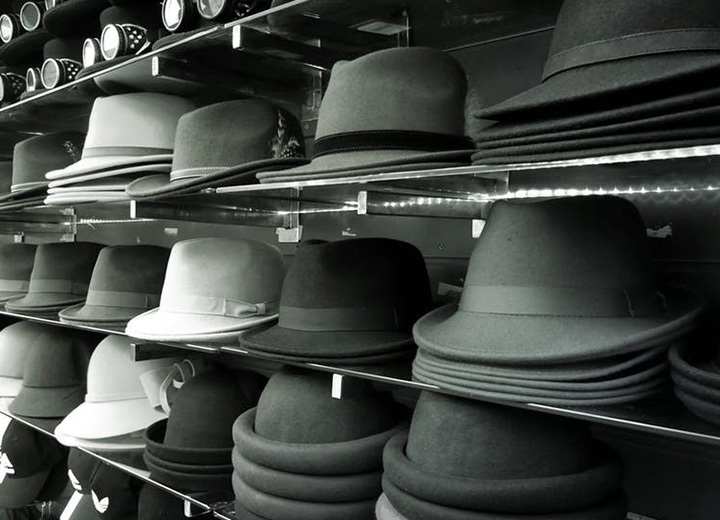 You might see hats right side up in hat shops, but do the opposite when storing them at home. Proper storage is a key ingredient to keeping your felt hat clean. When not wearing your hat, put it away in a hat box or store it in a cool, dry area away from direct sunlight. This will not only keep it as dust-free as possible, but it'll keep the hat from fading. Although it might seem strange, the best way to store hats is to arrange them upside down so that the crown is on the bottom. Arranging hats this way keeps the brim in tact. The crown will be fine as long as it's on a clean surface and not smashed or pushed in. If you have more than one hat and need to save space, you can nest them together if they have similar crown shapes. If you're properly storing your hat and regularly using a hat brush, lint roller, or tape to keep it fresh, the cleaning process is going to be a lot easier than if you let the dust settle over time. Even so, you might end up with some stainage that needs extra attention. With cool water, lightly dampen a clean cloth or small sponge (a makeup sponge would do) to swipe away dirt. Be sure that the cloth or sponge is moistened but not saturated with excess water. You can also add a touch of mild soap if you think it'll help — use your best judgment. Be careful with the hat band (especially leather) and any other decorative elements; do your best to work around them. Rub the cloth or sponge over the stain in a circular, counterclockwise motion. If the hat is dark, use a dark cloth; if the hat is white or a light color, use a white cloth. For more stubborn stains, sprinkle cornstarch, baking soda, or baby powder directly onto the soiled areas and mildly rub it in. Let the baking soda, cornstarch, or powder absorb the oil and grease for at least 20 minutes. Brush away the powder to see if the stain has been lifted. If necessary, repeat the process and let your hat air dry. When it comes to cleaning a felt hat, it's kind of scary to douse it in water because there's always a risk of ruining it. Make sure you try spot cleaning the hat before attempting a full-on hand washing. Fill a bowl or kitchen sink with cold water and add about a teaspoon of non-bleach mild soap such as Woolite. Before you submerge the entire hat in the water, do a spot test by saturating an inconspicuous area for a few minutes to make sure the color doesn't run and the fabric is fine. Gently scrub away any stains with a soft-bristled brush and let it set for at least 15 minutes. 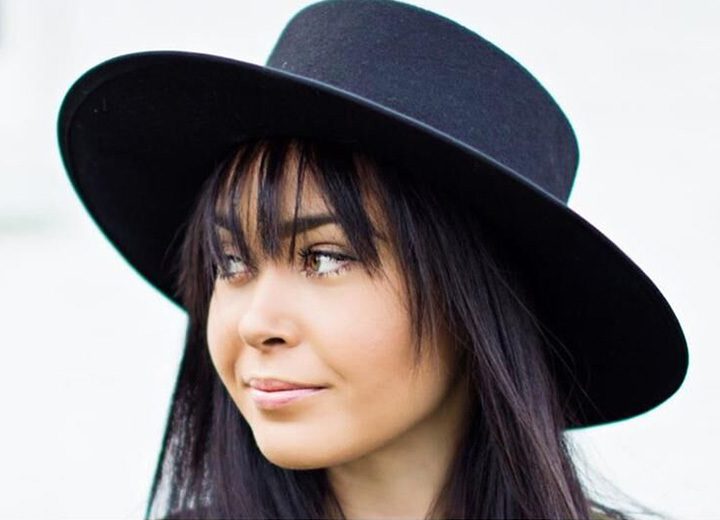 Be careful with the hat band and any other decorative elements, especially if they are leather or otherwise easily damaged by water. Next, dunk the entire hat in the water and let it soak for about 30 minutes. For heavy dirt and stains, you can soak the hat for a few hours, just make sure to check on it every hour or so. Use cold running water to rinse the hat and carefully squeeze it to remove any excess water. Place the hat on a clean, dry cloth and dab it. Air dry the hat in a well-ventilated area away from direct sunlight. Don’t get caught off guard: Washing machines might leave your hat all washed up if you’re not careful. If you don't want to put in the elbow grease necessary for cleaning your felt hat, we recommend getting the hat dry cleaned. However, you can also try putting it in the washing machine. Just know that this method ratchets up the chances of damaging the hat. 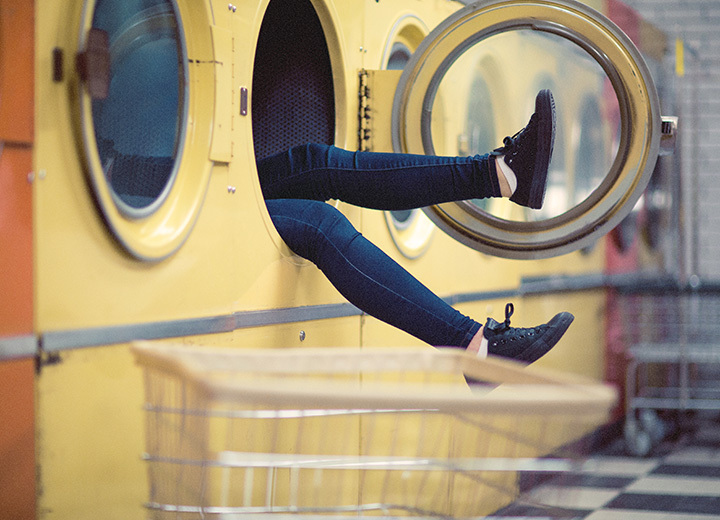 Be sure to read our complete guide on how to wash a hat in the machine before going this route. As you can see, hat care is as much about consistent cleaning as it is about proper storage. 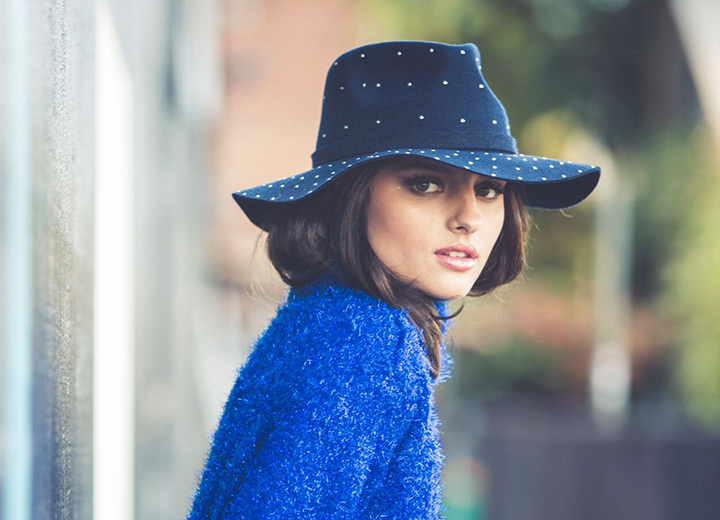 And when it comes to wool felt hats, it's really not that hard to keep them in mint condition. Remember: The best hats are clean hats. Do yourself a favor and take a look at our top storage hacks and don't forget to check out these can't-miss guides on how to clean a wool hat and how to shrink a wool hat for even more hat care inspiration.